One is good, but two is better. That’s the mindset that went into creating these duplex-style burgers. These double-decker burgers are the perfect way to celebrate the start of the summertime season. Two patties are forged with chuck from Fells Point Wholesale Meat in Baltimore and quick griddled. They’re topped off with American cheese, iceberg lettuce, mayo, and bread and butter pickles. A well-buttered, golden-griddled sesame seed bun holds it all together. Make a reservation at the Salt Line. Bud’s Double Patty Burger is everything you crave in a burger. The towering treat comes with cheddar cheese, thick rashers of Nueske’s bacon, rounds of tomatoes, bangles of red onion, lettuce, pickles, and “fancy sauce.” Available at lunch during the week and for weekend brunch. Make a reservation at Bud & Marilyn. 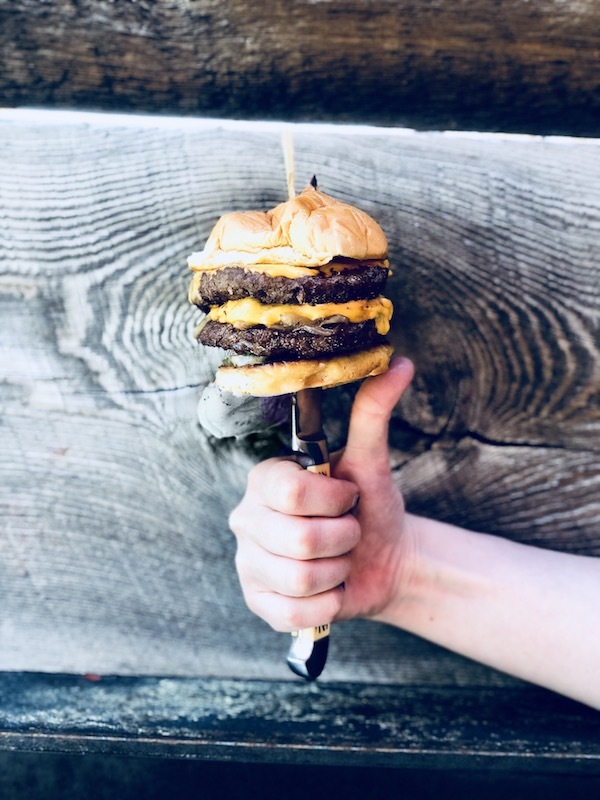 The Double Barrel Burger is fully loaded. Draped with melted American, it’s doused with housemade barbeque sauce, topped with pickle chips, and served on a potato bun. Guaranteed to hit the bulls-eye with your belly. Make a reservation at Bub City. 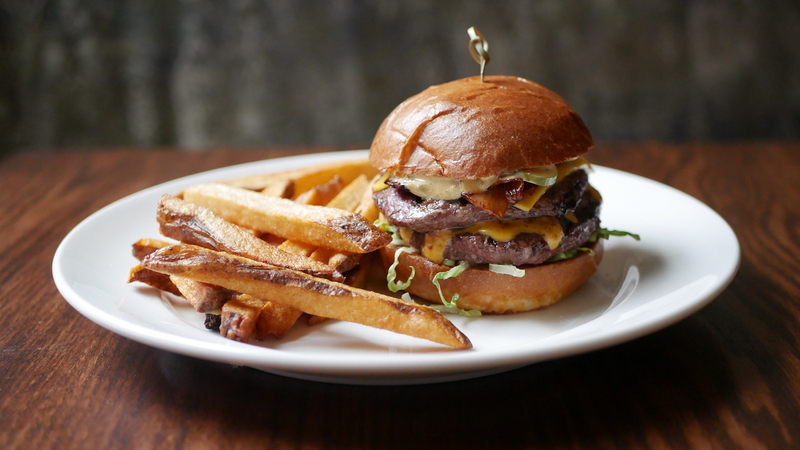 The Boucherie Burger come dressed to the nines with truffled mayonnaise, half-sour pickles, and American cheese. On the side, there’s a mound of generously cut pork fat fries. Defibrillator not included. Make a reservation at Royal Boucherie. Obama looooves this cheeseburger. 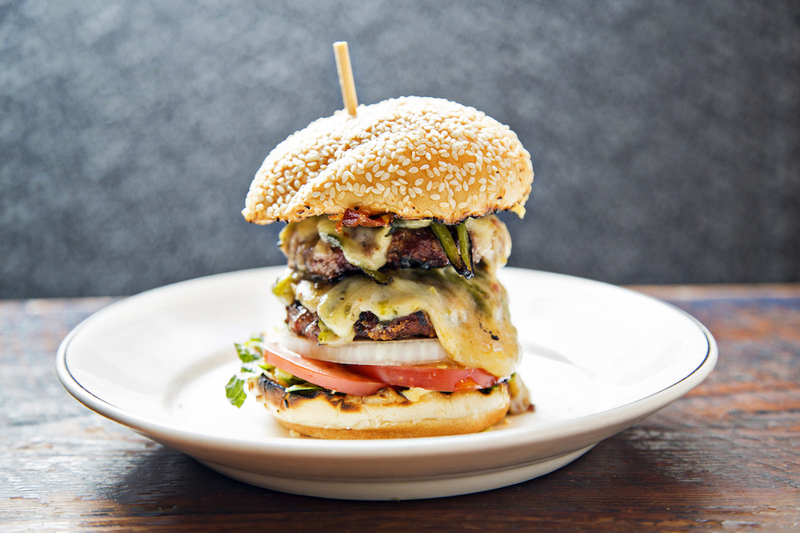 The bi-level beaut features a pair of grass-fed beef patties, American cheese, peppadew peppers, and avocados. Yes, you can…finish it. Make a reservation at Upland. This double decker is made with top-notch turkey. It’s topped off with orange squares of American cheese, Thousand Island dressing, pickles, lettuce, and tomato. Your choice of greens or fries arrives on the side. Make a reservation at Summer House. The Double Double is the kind of trouble trouble we love. 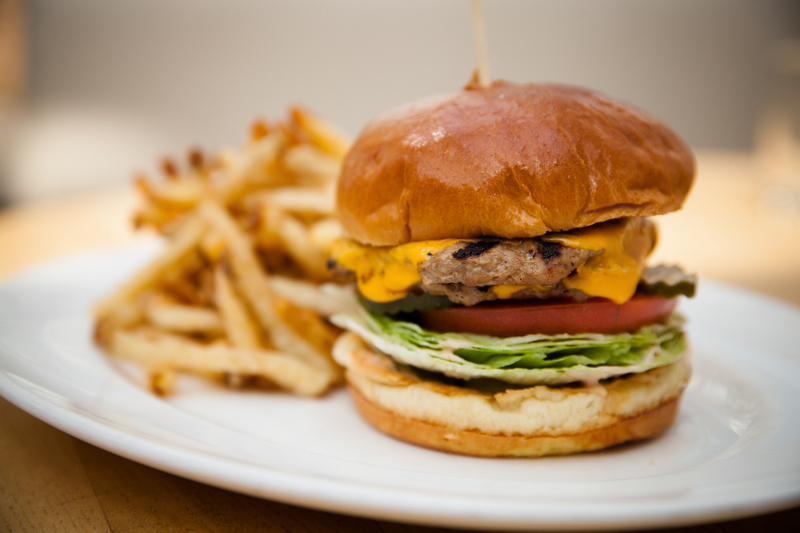 The medium-rare patties are made with an Angus beef blend of chuck, tenderloin, ribeye, and brisket. Coronated with caramelized onions and American cheese, it’s served on a good old-fashioned Martin’s potato roll. Make a reservation at Old Major. The B&B is edible R&R. Two patties are dressed up with sharp cheddar cheese sauce, American cheese, pickles, grilled onions, remoulade, yellow mustard, and shredded lettuce. 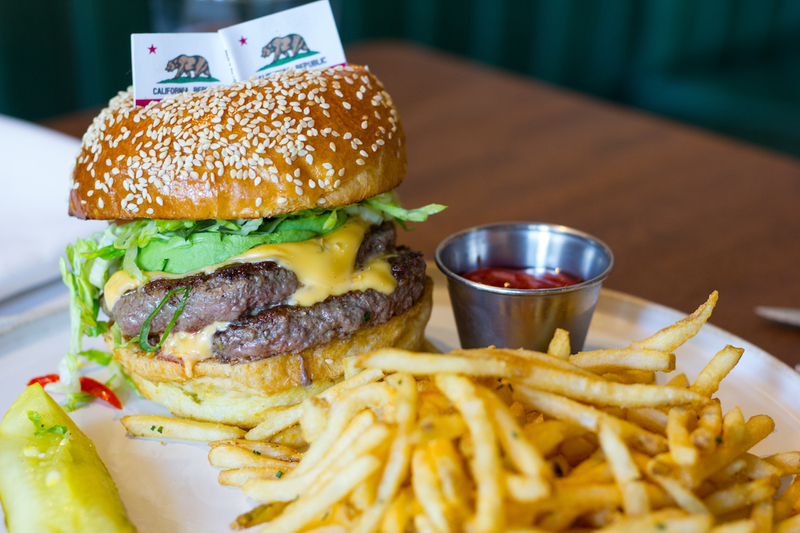 Take a deep breath, relax, and then inhale this burger. Make a reservation at Butcher & Brew. 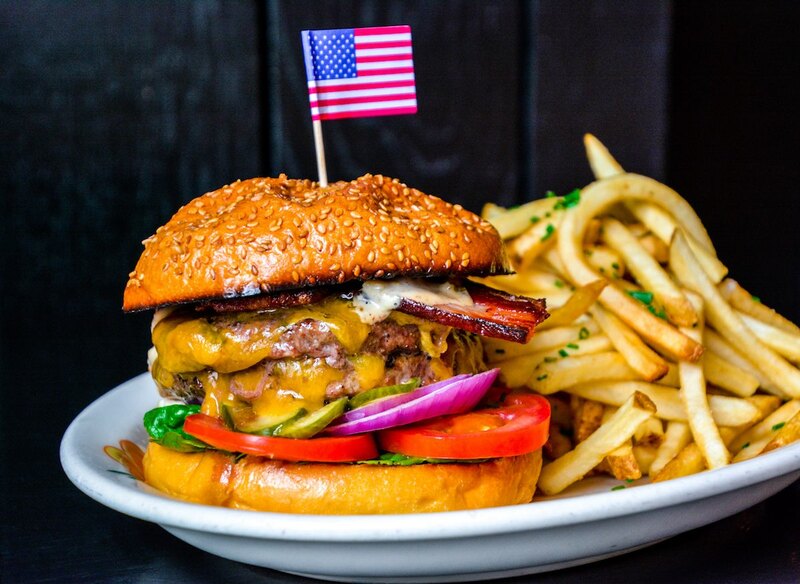 Their namesake burger is classic to the core. 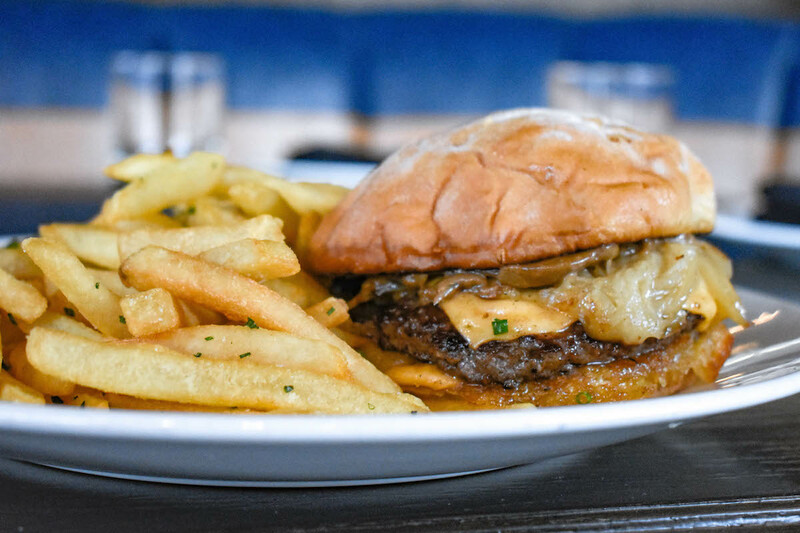 Double patties boast caramelized onions, American cheese, and house sauce and are served on a good old-fashioned potato bun. A thicket of golden fries arrives on the side. Make a reservation at The Kennison. Pearl Dive Oyster Palace, Washington, D.C. 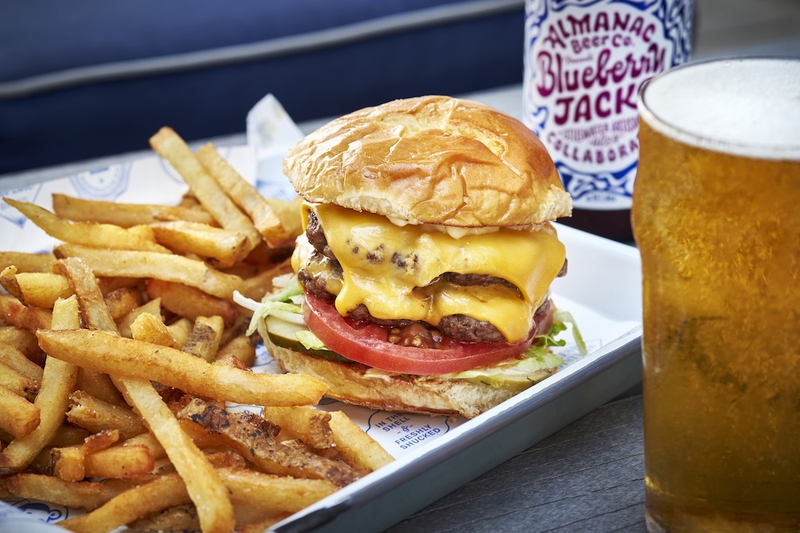 When you chomp down on the Dive Burger, your palate is going to light up. That’s because the spice-packed double stack features roasted green chilies, pepper jack cheese, and cayenne aioli. Plus, there’s bacon involved, because…bacon. Make a reservation at Pearl Dive Oyster Palace. 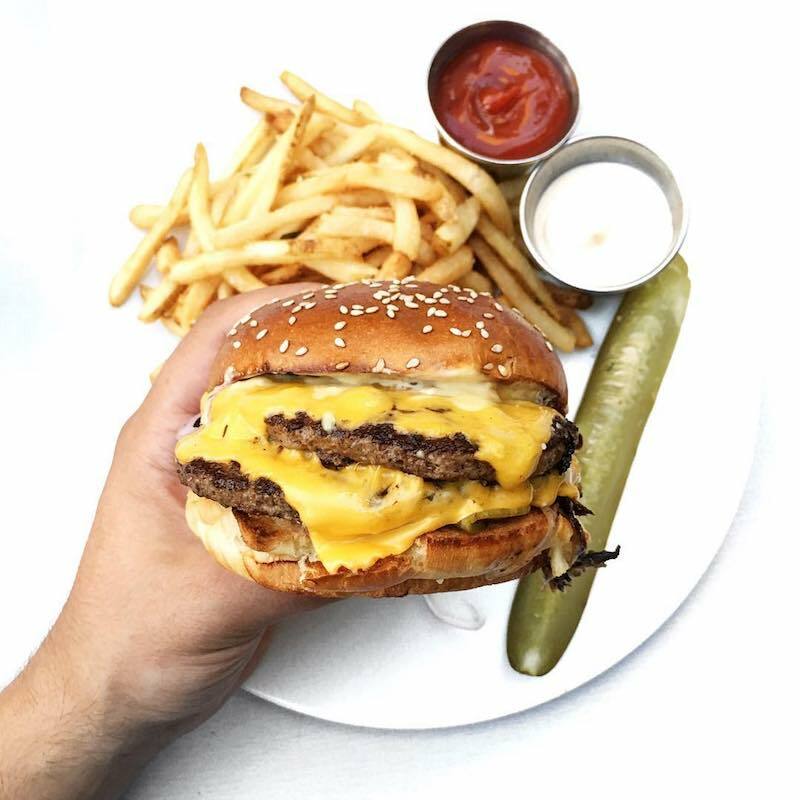 There’s no shame in asking for a second napkin when you order the oversized Grille Prime Cheeseburger. 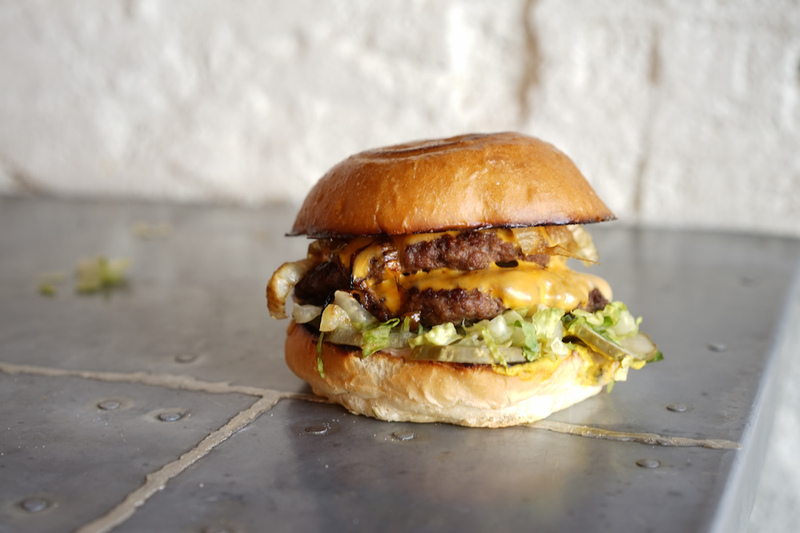 The patties are forged from a custom blend of brisket, short rib, and chuck. This monster comes slathered with Sloppy Sauce (don’t ask us what’s in it; it’s a secret) and topped with American cheese, LTO, and a pickle. Make a reservation at Del Frisco’s Grille. 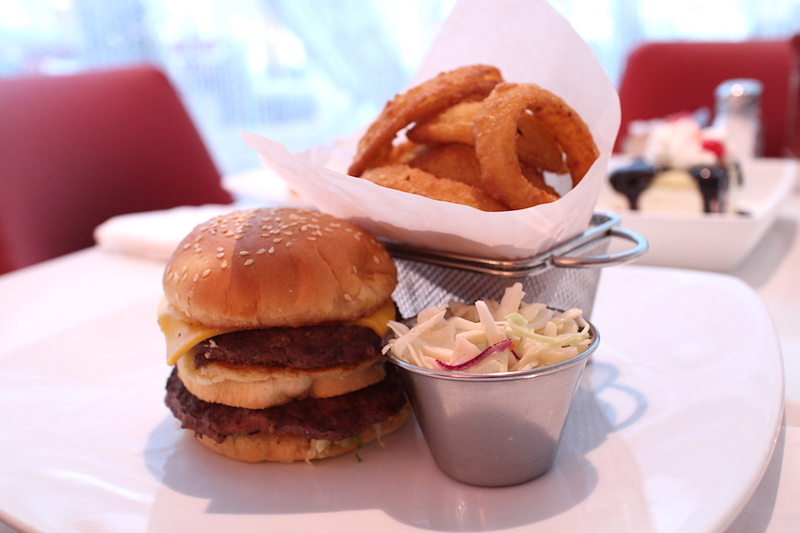 The Downstairs Burger is the pickup you’ve been seeking. A duo of griddled patties is shrouded with melted cheddar and then styled with Dijonnaise, pickles, and red onion. The bigly burg’ arrives with a hillock of fries. Make a reservation at 8 Bar and Patio. You can thank butcher-to-the-stars Pat LaFrieda for the private label blend patties. 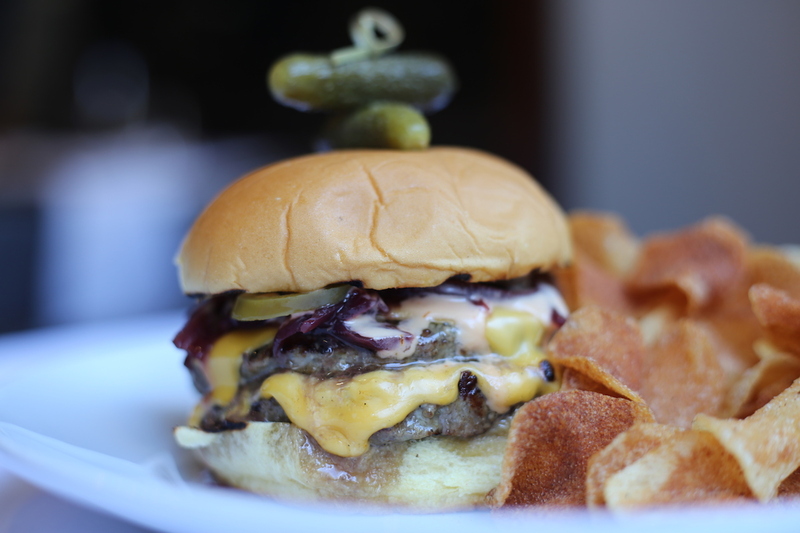 The delicious duo is finished with American cheese, pickled jalapeños, and red onion jam. Available only at the bar. Make a reservation at Porter House Bar and Grill. 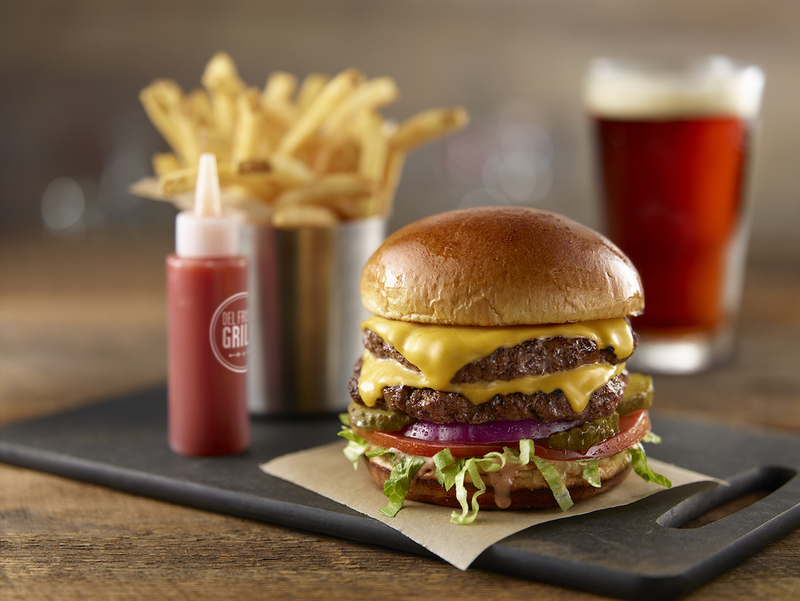 The T in the T Burger could stand for Trummer’s, tasty, or towering – or maybe all three. 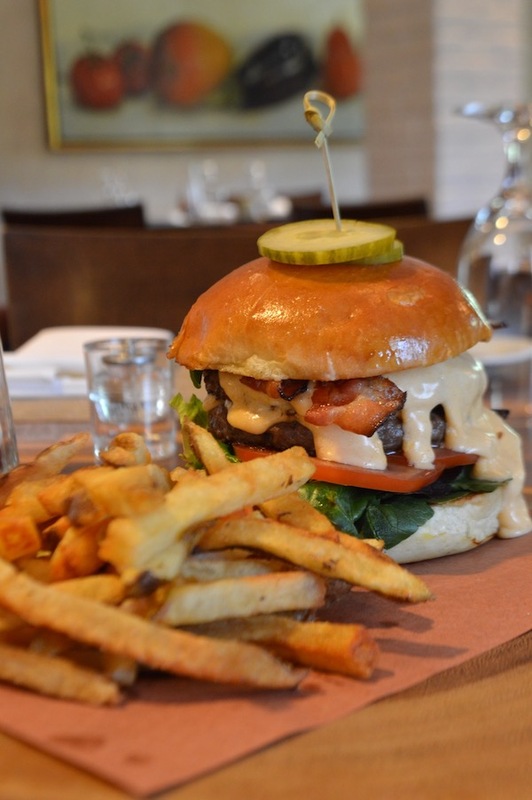 The two-patty, two-hands-required burger is served on a brioche bun with applewood smoked bacon, Mornay sauce, lettuce, tomatoes, and pickles. Bib not included. Make a reservation at Trummer’s on Main. Anthem at Marriott Marquis, Washington, D.C.
Marriott hotels were born out of a restaurant group in the D.C. region called Hot Shoppes. 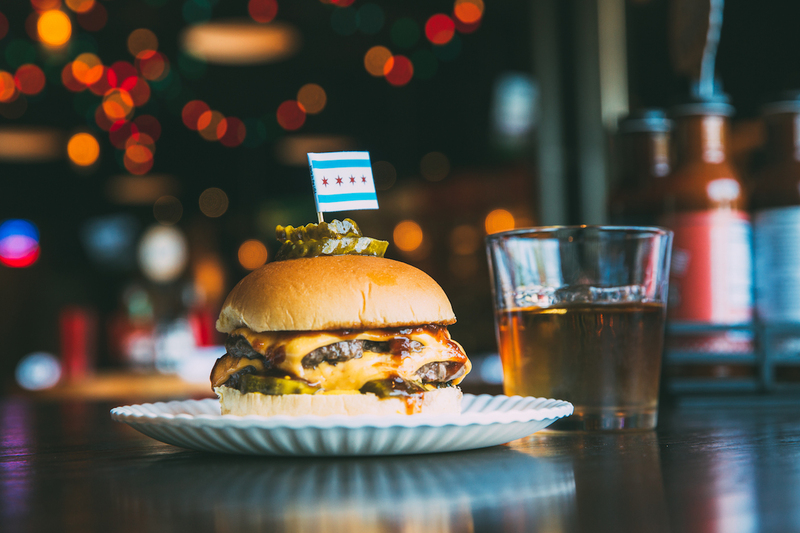 The double patty Mighty Mo pays tribute to the property’s roots. To go full old school, order it with a side of onion rings and an A&W root beer float. Make a reservation at Anthem at Marriot Marquis. Double-decker burgers — too much or not enough? Let us know in the comments or over on Facebook, G+, Instagram, Pinterest, or Twitter. And, remember to snap + share your #dishpics with us on Instagram for a chance to win in our weekly giveaway. Photo credits: Anjali Pinto (Summer House) Bonfire Media (Bud & Marilyn’s); Jeremy Pero (Royal Boucherie); Boka Restaurant Group (The Kennison).